The import of mobile phones decreased by 16.19 percent in the first five months of the current fiscal year 2018-19 compared to the same period in fiscal year 2017-18, with importers starting to feel the impact from the government’s revision of the tax structure. 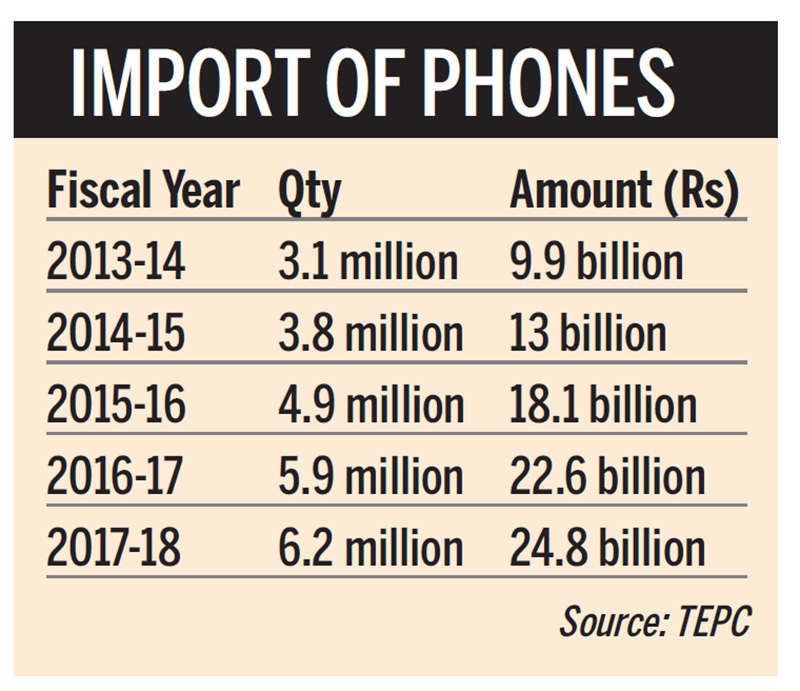 According to the import data from the Trade and Export Promotion Centre, the country imported 1.93 million units of mobile phones worth Rs8.8 billion in the first five months of the current fiscal year against 2.72 million units worth Rs10.5 billion during the same period in fiscal year 2017-18. Sanjay Agrawal, vice president of Mobile Phone Importers’ Association said that the introduction of five percent excise duty from the budget announcement last year, scraping of the VAT refund provision and rise in dollar rate were the main reasons for the downfall in the import of mobile phones in the current fiscal year. According to domestic mobile phone dealers, the downfall has not hampered sales in the market due to increased supply of phones through the grey market. They said that the grey market’s growth was also a factor in the drop in mobile phone import this year. Grey market goods are legal, non-counterfeit goods sold outside normal distribution channels. Earlier, smartphone retailers used to get 40 percent VAT refund at the end of the fiscal year. But the budget announcement for 2018-19 scrapped the provision. And on top of the 13 percent tax, another five percent excise duty has been added, making it a total of 18.65 percent in taxes alone. Likewise, the country imported mobile phones worth Rs24.87 billion in the fiscal year 2017-18 against Rs22.66 billion in the previous fiscal year 2016-17. According to the data, China and Vietnam are the major exporters of mobile phones to the country as well as India. The country imported 1.6 million units of mobile phones worth Rs7.3 billion from China in the first five months of the current fiscal year, the data showed. Similarly, 107,188 units of mobile phones worth Rs1.2 billion was imported from Vietnam in the same period.